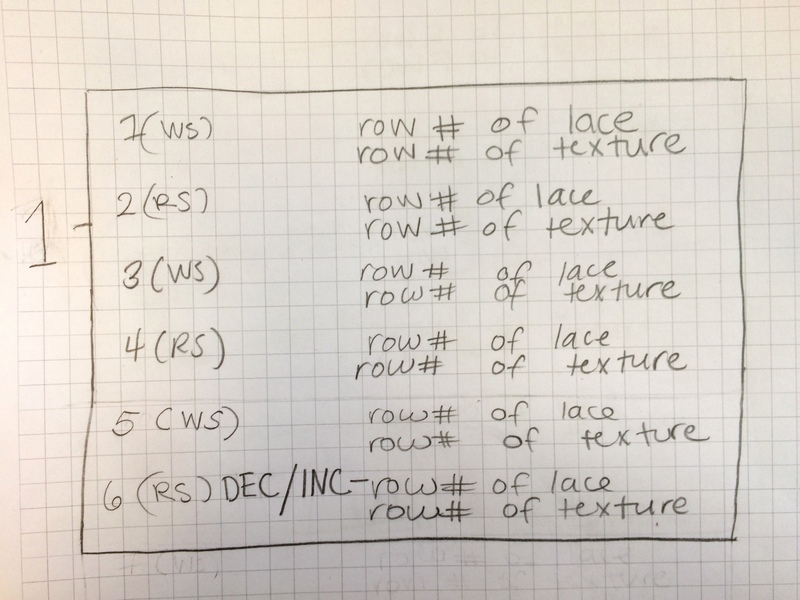 Emily Explains: How do I keep track of multiple instructions? I’m still working on my Calleta today and loving the project so much! The girls in the office are cruising ahead on their knitting, but I am working slow and steady, a little bit each day. Today I have finished the sleeve, used the cable cast on to add stitches for the front and back, and begun working the lace panel chart. It’s a lot to keep track of, but I made little notes in the margins of my pattern book to keep track of what I’m doing. Now I’m at the part where I’m decreasing and increasing in the same row to create the cardigan’s high-low hem. Suddenly, it all feels like too much to keep track of in my pattern books margins! I created my own version of Ashley’s favorite knitting app on a piece of graph paper to keep track of all my tasks at the same time. 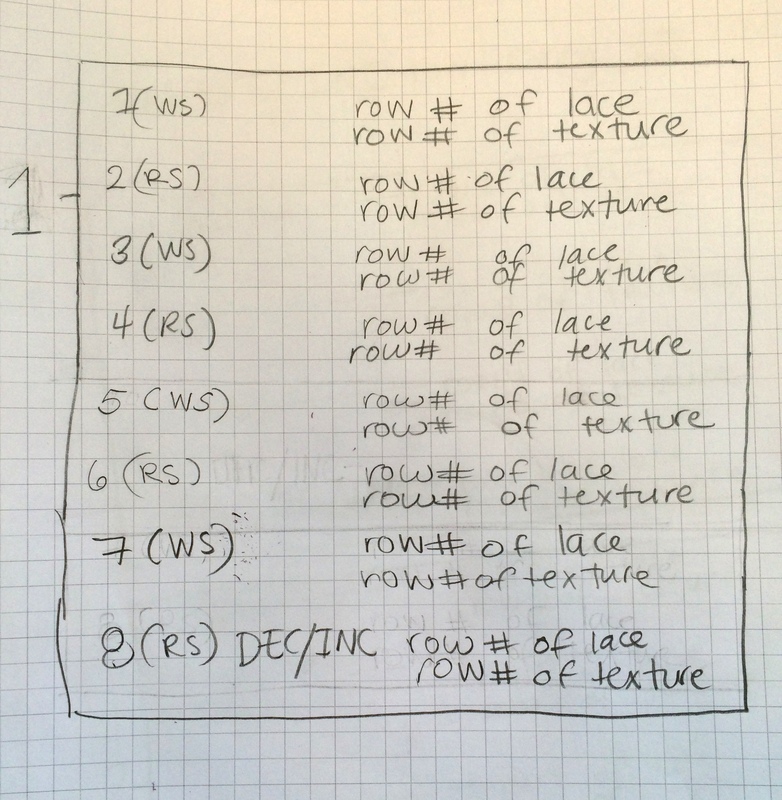 Each box of 4 rows (drawn above) represents where I am in the lace and texture pattern as I am knitting. 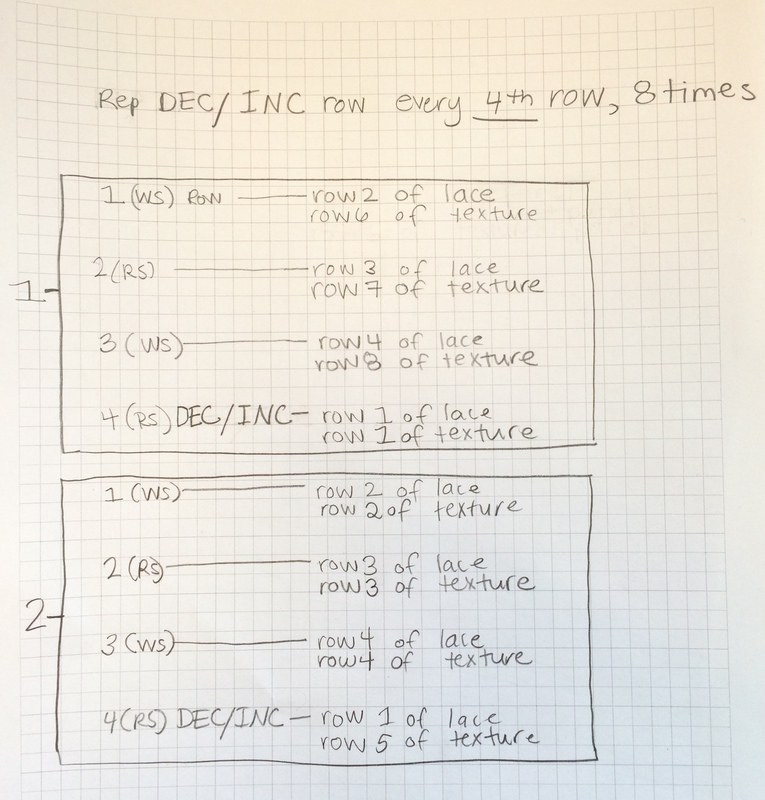 On every 4th row I increase and decrease in pattern. For myself, I drew out 8 boxes (1 for each repeat) keeping of track of where I am every 4 rows. It is a little nit-picky I suppose, but it has really helped me! I feel that you could use a system like this when knitting any sweater that asks you to keep track of multiple stitch patterns at the same time. I hope this example helps you with your making! I really love this. I have made similar charts in the past. I often use different colors of markers to keep track, but when there’s too much for that system to work, I always start making charts of my own. Great article!